Tough, heavyweight folder resists wear and tear with large, bulky files or in factory or outdoor applications. Accordion-pleat Tyvek® gusset expands to hold lots of paperwork. 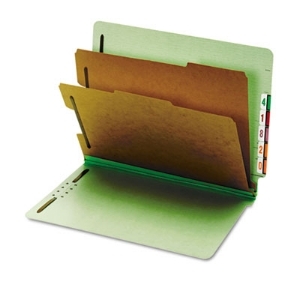 End tab pressboard file folders are available with fasteners and in 1" or 2" expansion. 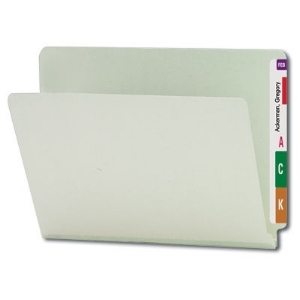 Call 800-699-1191 to order end tab pressboard file folders. 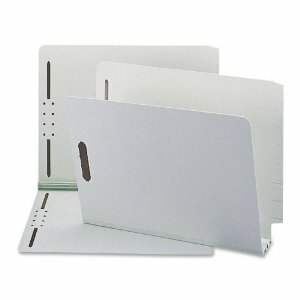 Pressboard file folders are available in different colors, letter and or legal size and with or without fasteners.